Fortuna Hotfixes and Mesa Prime! Fixed an issue where Power Cell Carriers sometimes took longer than expected to spawn in Venus Excavation missions. Fixed an issue where the Operator/Warframe could get stuck crouching (if they were crouched when you Transferred out and then back in to them). Fixed Dropship enemies sometimes getting stuck in the sky. Fixed Reinforcement beacons explode on deployment after migration. Fixed Discount Coupons showing on bundle items. Fixed enemies not picking up Index Points in Index missions. Fixed missing enemies during the K-Bomb phase of the Vox Solaris quest. Fixed Orb Vallis Dropship collision lingering after destruction resulting in resources/items floating in the air. 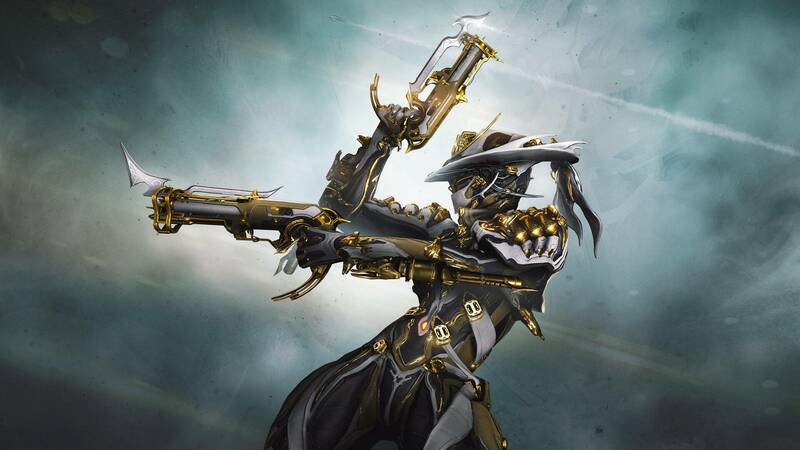 Become the fastest gun in the system with Mesa Prime. This legendary gunslinger comes with the Akjagara Prime dual pistols, the long-awaited Redeemer Prime gunblade and more! Mesa Prime: Cast a long shadow with this lethal enforcer. Mesa Prime Glyphs: Embody Mesa Prime with these Prime Glyphs. Akjagara Prime: Precision machined mirrored pistols. Primed and ready. Redeemer Prime: Deal out double-barreled death with this primed gunblade. 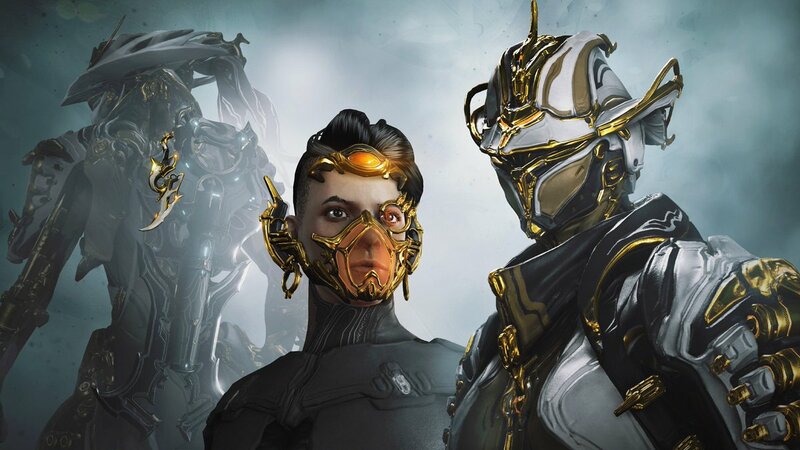 Don one, two, or all three fashionable Prime accessories and give your Operator a golden visage! *Chroma Prime, Gram Prime, and Rubico Prime Relics are also still out in the wild, just not in exclusive spots like Bounties or Onslaught. Check out Mesa Prime Access Packs in the in-game Market! The elemental master Chroma Prime has stepped aside to make room for Mesa Prime Access! If you have Chroma Prime, Gram Prime, and Rubico Prime Relics they will still be in your inventory to use in Void Fissure missions. Replaced New Loka’s Sacrifice of Banshee Prime Chassis to Hydroid Prime Systems. Replaced Red Veil’s Sacrifice of Banshee Prime Chassis to Hydroid Prime Systems. 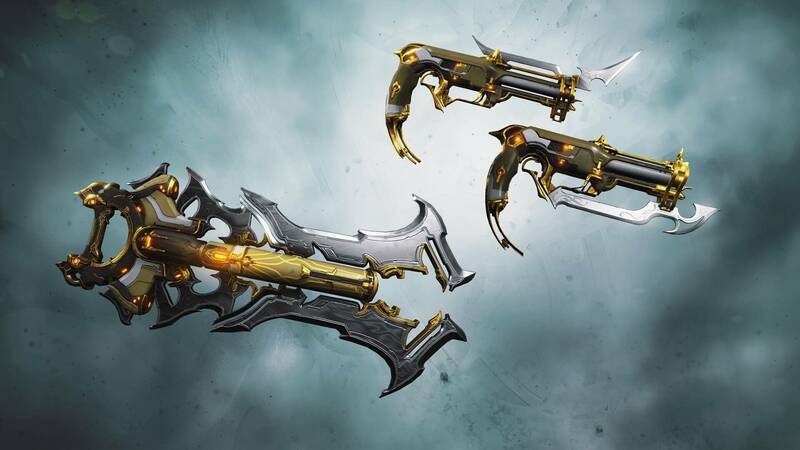 If these Prime Weapons and Warframes (or their Blueprints/Components and Relics) are already in your Inventory, they will remain after the Vaulting. As a continued improvement to our Chat Moderation, we have removed the ‘purple text’ indicator from Chat. Our previously mentioned third party professional moderation team will also be starting to emerge as early as tomorrow. Later today a full outline of the Chat Moderation Responsibilities and Code of Conduct will be posted on warframe.com. Fixed Elite Trencher having issues with gravity. Fixed loss of functionality when attempting to customize Landing Craft with a color pallet that is not owned. http://razor7.org/wp-content/uploads/2017/01/Razor7-Clan-Logo.png 0 0 razor7admin http://razor7.org/wp-content/uploads/2017/01/Razor7-Clan-Logo.png razor7admin2018-12-18 22:38:112018-12-18 22:42:15Fortuna Hotfixes and Mesa Prime!